A range of guided mindfulness exercises and meditation practices, suitable for beginners, those more experienced who enjoy guidance and practicing with others & those wishing to expand their practice. Check News/Events for current program. ‘Mindfulness & Meditation At Work‘ workshop (4hrs); ‘Express Yourself‘ Creativity Workshop (8hrs). Or I can create a workshop custom-made for your needs. Megan works with a diverse range of workplaces, companies & organisations. Email Megan to set up a meeting. Learn mindfulness meditation in a structured 8-week course with the guidance of an experienced teacher, in a supportive group (ie the best-case scenario!) Includes resources and home practices. Initial class: 2hrs then 1.5 hours per week. home practice of up to 40 minutes per day. Initial face-to-face, Skype or phone meeting required. Places limited to 8. Courses TBA. Practice mindful walking and/or movement in nature. 1-3 hours hours guided practice in the South Australian wine coast region: on the beach, in the scrub or in local wetlands. Single or ongoing sessions. Sessions TBA – or get a group together and get in touch! Please note that some services require preparation time & travel costs/time to be factored into pricing. For a comprehensive list of Megan’s mindfulness meditation training, studies and professional development, please visit her LinkedIn profile. Pausing, connecting, finding joy, managing stress: how to transform workplace culture and practices for the better using the tools of mindfulness and meditation. Workshops, courses, guided sessions & consulting. Customised to meet your organisation’s needs. Email Megan to set up a meeting. A 1:1 session tailored to your specific needs, be they personal and/or work-related. (Initial one-hour meeting + a minimum 2-hour session). Can also be ongoing. One-hour “refreshers” are also offered to experienced meditators who’d like to re-invigorate their practice. For individuals or up to 3 people. Email Megan to set up a meeting and/or find out more. Restorative day retreats designed to calm the body and mind, and allow time for self-care and reflection. Combines gentle mindful movement & still practices with guidance, in a warm group environment. TBA – or email her to talk about one for your ogansiation, community group or social group. Live in the “wine coast” region of South Australia? Get a group of friends together and Megan will bring meditation to your place! From guided practices & mindfulness exercises to a full 8-week course. (Travel costs may apply). Email Megan to discuss. Not in South Australia? Can’t make it to an event in person? No problem! Megan also conducts consultations, sessions & guided meditations via Skype, Facetime or Facebook video – interstate or international. Email Megan to set up a meeting. Sangha means “intentional community” in Sanskrit. 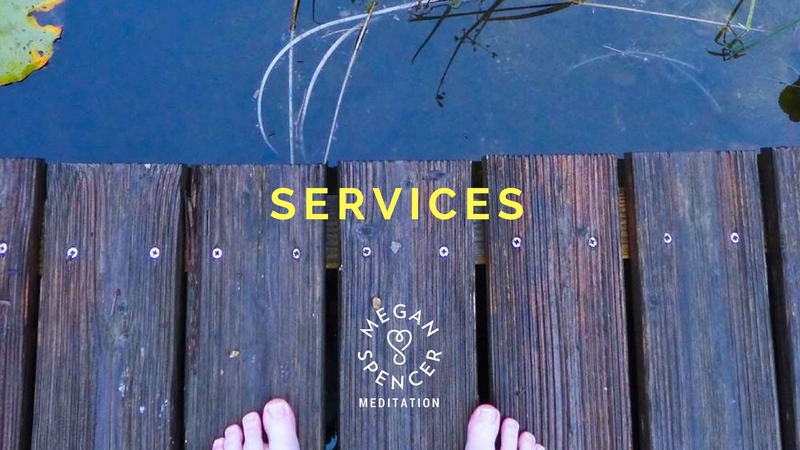 As part of her personal and professional practice Megan enjoys leading secular meditation groups to share practice, community discussion and most importantly: cups of tea afterwards… TBA – or email Megan to talk about one for your ogansiation, community group or social group. Need a guest speaker for your event, podcast or radio program? Megan is a highly experienced broadcaster, public speaker and panel facilitator, with practical skills and specialist, experiential knowledge in mindfulness meditation teaching and personal practice. She also produces podcasts. Email Megan to discuss. Need content about mindfulness or meditation for your website or publication? Megan is an experienced journalist and interviewer who writes from inside the perspective of her own mindfulness practice. Email her to discuss.